Lately I spend more time watching Youtube than regular television. There wasn’t much quality content on Youtube at first, but over the past few years some very experienced preppers have started some fantastic channels. Since a lot of people I talk to aren’t aware of this, I decided to compile a list of the 100 best prepper and survivalist Youtube channels (in my opinion). 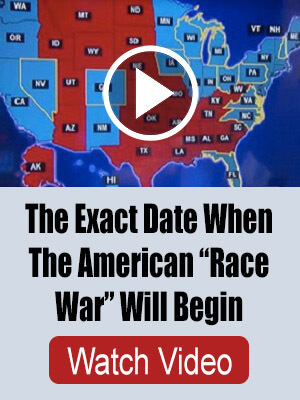 It would take days, maybe even weeks to check all these out, so I encourage you to bookmark this page. I could have included over 100, but I decided to exclude channels that haven’t been adding new videos lately (as of this writing). That means I had to leave out great channels such as Analytical Survival, P.A.W. Productions, and The Survival Doctor, to name a few. But if I had included every good survival channel the list would have been ridiculously long. 1. Armoured Cockroach – A former soldier and paramedic who makes videos about wilderness and urban survival. 2. Babee Blue on the Town – One of my favorites. Guns, knives, hunting, fishing, and shooting by a very attractive woman. 3. Bexar Prepper – A homesteader with videos on canning, cooking, and general food storage. 4. Big Family Homestead – Brad has a large homestead where he lives with his wife and 7 kids. He shares tips on all aspects of homesteading and is a very charismatic guy. 5. Black Scout Survival – Another favorite of mine. This guy makes some high-quality tutorials on all sorts of survival skills along with some helpful reviews of survival gear. 6. Bland County Survivorman – Videos on hunting, fishing, fire making, and other bushcraft skills. 7. Bohemian Hunting Club – Tips on hunting, shooting, scopes, knives, gun maintenance, and more. 8. Bright Agrotech – This is a businesses that focuses on vertical farming and gardening. If you’re interested in aquaponics, you could learn a lot here. 9. Budget Bugout – If you plan on bugging out after a disaster, this is the channel for you. 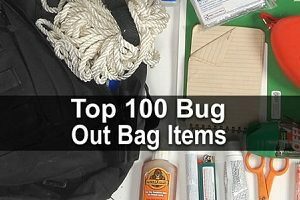 It has gear reviews and tips on how to make the ultimate bug out bag. 10. Bushcraft Bartons – An associate pastor teaching bushcraft skills in the Canadian wilderness. 11. Camping Survival – The official channel of CampingSurvival.com which sells all types of camping gear. Videos on survival food, wild edibles, water purification, and more. 12. Canadian Prepper – This one updates frequently and has a lot of general survival videos, often with an emphasis on health. 13. City Prepping – Preparedness and survival for people living in the city. High quality videos on a number of different topics. 14. Commsprepper – Probably the best channel for emergency communications. He’s also working on a rainwater collection system. 15. Cr0cket20 – Another personal favorite. Learn about backpacking, climbing, guns, knives, and even a little MMA. 16. Cutlery Lover – If you’re into knives, you’ll love this guy. He reviews all sorts of knives and also likes to talk about beer. 17. DEMCAD – DEMCAD is a libertarian who adds several videos a week on everything from survivalism to politics. 18. Demolition Ranch – As he says, this is “not your average gun channel.” Bullets, body armor, and all sorts of badass contraptions. 19. DrBones NurseAmy – Survival medicine and gardening from a medical doctor and a registered nurse. Great advice from people who know what they’re talking about. 20. EconoChallenge – How to hike and camp in the wilderness without leaving a trace. This man reveres nature and it shows. 21. Equip 2 Endure – Survival gear reviews and podcasts covering a wide range of topics, and the occasional giveaway. 22. Everyday Tactical Vids – Mostly videos on plants and knives, but he also talks about health and survival psychology. 23. Far North Bushcraft and Survival – The name of the channel says it all. Lonnie lives in Alaska and builds shelters, eats wild edibles, and more. 24. Fun in the Woods – Videos on how to building your own shelter, making your own survival tools, cooking food in the wilderness, etc. 25. Funky Prepper – Bugging out, food storage, bushcraft, and more. This guy is quite a character. 26. Growing Your Greens – The most watched gardening channel on Youtube. Learn how to grow food in your front or backyard. 27. Hickok45 – Excellent channel on guns and gun safety. There are new videos several times a week. 28. Idaho Hillbilly – A homesteader who is an expert at finding hidden treasures at flea markets and other places. Watch as he turns his property into a self-sufficient permaculture farm. 29. Im Still Workin – A lot of videos on gardening, canning, cooking, and baking. 30. InnerBark Outdoors – Not only does Andy have years of experience in outdoor living, he is also a cinematographer so his videos are very high quality. 31. IraqVeteran8888 – One of the best gun channels on Youtube. Learn about shooting, gunsmithing, handloading, and more. 32. ITS Tactical – Imminent Threat Solutions covers a wide range of topics, some of which I’d never even considered. 33. Jack Spirko – The official channel for Jack Spirko of The Survival Podcast. Learn all about his homestead. 34. James Yeager – Discussion about guns and shooting from the guy behind TacticalResponse.com. 35. Jas. Townsend and Son, Inc. – James loves to talk about life in the 18th century and he dresses the part. Lots of educational videos here, mostly about cooking. 36. Jnull0 – Day to day life on a large homestead. Learn about butchering animals, cooking, canning, and more. 37. KGB Survivalist – This guy covers all areas of prepping and reviews guns, knives, and survival gear. 38. Kirsten Dirksen – Videos about self sufficiency, simple living, backyard gardening, and craftsmanship. 39. L.D.S. 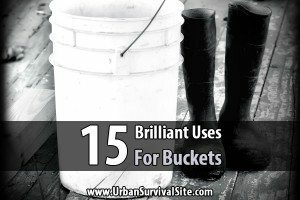 Prepper – One of the older channels on this list. He’s a very experience survivalist, especially when it comes to gardening. 40. Linda’s Pantry – Linda makes high-quality videos that teach you about gardening, canning, and survival cooking. 41. Living Survival – All things survival. Ben talks about bushcraft, camping, fishing, and hunting, and he regularly reviews survival gear. 42. MD Prepper – This channel is mostly short reviews of survival food, gear, and guns. 43. Michigan Snow Pony – Farming, gardening, simple living, and discussion videos about life on a homestead. 44. Miller’s Guns and Gear – Lots of videos about bullets, guns, safety, maintenance, and proper shooting techniques. 45. Mind Wise Man – This guy covers all aspects of outdoor living and he loves to go canoeing. 46. Moscow Prepper – Bushcraft, preparedness, and self-reliance videos by a Dane living in Russia. 47. North Carolina Prepper – Lots of miscellaneous videos on emergency preparedness. 48. Nutnfancy – A very popular survival channel about backpacks, flashlights, guns, knives, multi-tools, tactical gear, and more. 49. Off the Grid News – Weekly videos about all sorts of disaster preps and important survival skills. 50. One Woman And Two Acres – This woman is fun to watch. She teaches all sorts of homesteading skills from her land in Northeast Georgia. 51. Our Half Acre Homestead – Back to basics living with some experienced homesteaders. Gardening, cooking, food storage, recipes, and more. 52. Patriot 36 – Survivalism, outdoor living, and reviews of firearms, flashlights, and survival tools. 53. Prepared Mind 101 – Another one of my favorite channels. He covers all the major areas–bushcraft, urban survival, wilderness survival–and he does a lot of reviews. 54. Reality Survival – Excellent channel that covers a wide rage of topics including bushcraft and urban survival along with reviews of gear, kits, knives, and tools. 55. Safe Arms Review – Some awesome videos on guns, prepping, survival gear, tactics, and more. 56. School of Self Reliance – This channel will teach you everything you need to know to be self reliant in the wilderness. 57. Sensible Prepper – Here you’ll learn all sorts of creative prepping ideas using common household items. 58. Sigma 3 Survival School – Huge collection of instructional videos on all aspects of survivalism, especially bushcraft. 59. Skinny Medic – The official channel of Medical Gear Outfitters. Here you’ll find a mix of medical and general prepping videos. 60. Snare Man – High quality reviews of guns, knives, backpacks, and other types of survival gear. 61. Solar Cabin – If you’ve ever dreamed of building a cabin and becoming completely self-sufficient, this guy will teach you how. 62. Sootch00 – A very popular channel with fun and detailed reviews of guns and accessories. 63. Soul Survivor X2 – This is also one of my favorites. Really cool videos about prepping, shooting, backpacking, guns, motorcycles, etc. 64. Southern Prepper 1 – These videos are short, to-the-point, and very educational. He’s been on Youtube for a while so he has a huge backlog of videos. 65. Stacy Lyn Harris – On this channel Stacy teaches gardening, cooking, canning, and more. 66. Supergokue1 – This guy makes a lot of short instructional videos about generating power, making hiding places, and building your own gear. 67. Survival Know How – Survival hacks, tips, tricks, and more. Lots of great info, much of which is organized into top 10 lists. 68. Survival Life – The official Youtube channel of the most popular survival site on the Internet. They have dozens of videos with survival tips, gear reviews, and other prepper-related topics. 69. Survival Lily – A woman and her dog who spend time in the woods hunting, fire making, building shelters, and reviewing survival gear. 70. Survival Mike – Mike is a certified trainer who knows all about surviving in the wilderness. 71. Survival Skills 101 – This covers a lot of common survival skills, but unlike most similar channels he also talks about personal self defense. 72. Survivalist Boards – Lots of random homesteading videos from the owner of SurvivalistBoards.com. 73. Survivalist Gardener – Videos based on the book, “Secret Garden of Survival.” Learn how to grow a secret survival garden in your backyard. 74. Survivalist Prepper – The official video channel of one of my favorite sites. Lots of great tips and advice, especially for beginners. 75. Texas Prepper 2 – If you’re into homesteading, this is the channel for you. It covers gardening, raising chickens, fish, livestock, bees, food storage, and so much more. 76. The Daily Prep – Watch Dan as he goes from total noob to experienced prepper. 77. The Modern Survivalist – One of my very favorites. Fernando lived through the hyperinflationary collapse in Argentina. He’s smart, experienced, and has a lot of wisdom to share. 78. The Patriot Nurse – Another one of my very favorites. I have learned a lot about first aid and medical survival from her. 79. The Peaceful Prepper – A single gal prepping to survive in an urban environment. She only has a few hundred subscribers so far but I expect this channel to become much more popular. 80. The Sgt Fruitcake – Awesome prepper videos with an emphasis on camping and outdoor living. 81. The Survival Channel – This man’s goal is to be prepared for absolutely anything. He talks a lot about the latest survival gear. 82. The Urban Prepper – My favorite channel, probably because he reminds me of me (no, he’s not actually me). If you live in a city, you should definitely subscribe to this channel. 83. The Yankee Marshal – David is the kind of guy I would love to have a beer with. He’s smart, funny, and he’ll tell you everything there is to know about guns. 84. TheALOWens – Videos about guns, knives, EDC gear, bug out bags, bug out vehicles, and even a little politics. 85. TheHossUSMC – Guns, gear, ammunition, home defense, and a little bit of politics. 86. Tiborasaurus Rex – Ballistics, shooting, weapons, self defense, and a little bit of religion. 87. Tin Hat Ranch – This channel covers all types of prepping and has some great reviews and cool survival hacks. 88. Ultimate Survival Tips – Very high quality how-to videos and reviews of survival gear, especially knives. 89. Ultimate Survivalist – Mostly backpack and camping videos along with a lot of knife reviews. 90. 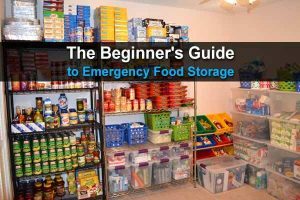 Utah Prepper 1 – Food storage, general survival tips, and several videos about gardening and taking care of chickens. 91. Van Prepper – Short, awesome videos about freedom and preparedness. Very entertaining guy. 92. We All Juggle Knives – Reviews of knives, flashlights, survival kits, and all sorts of gear. 93. Wessex Blades & Bushcraft – A blend of Bushcraft camping, gear reviews, knives, survival tips, and even some rock music. 95. William Myers MantisOutdoors – One of the best channels for bushcraft and wilderness self reliance skills. If you love the outdoors, don’t skip this one. 96. Wiltshire Man – Follow Sandy on his journey into the world of bushcraft. He also likes model copters. 97. Wingman115 – Detailed reviews of guns, knives, flashlights, and all sorts of survival gear. 98. Wranglerstar– Yet another favorite of mine. The Wranglerstar family makes excellent videos on modern homesteading. 99. Yankee Self-Sufficiency – Lots of miscellaneous survival tips along with some Christian commentary. 100. Zombie Tactics – Reviews of weapons and gear, discussion about guns and prepping, and general zombie preparedness. And there you have it. If I forgot any good channels I apologize. Let me know about them in the comment section below and at some point I’ll come back and update this list. Check out the Serious Survivor Channel. He focuses on ALL aspects of survival from a military trained and qualified veteran. His instructional videos are awesome. 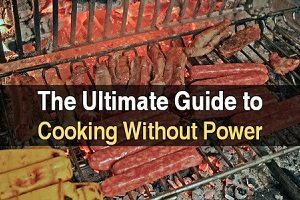 He covers Solar Power, Micro Hydro power, wells and pumps and far too many other things to list that Preppers need to know. He has more than 200,000 subscribers and definitely should be on your list. Far North Bushcraft and Survival is the best channel on your list, in my opinion. Professional, well presented, audible, great camera work and corrections, if any, that post on the screen. Lonnie is laid back, easy to listen to and demos all that he is teaching. His lifetime of experience is apparent. Check out the Swedish Torch segment and you’ll see what I mean and learn a lot. Many thanks for the list. sec transfer rate. For fire prevention, top-of-the-line fire suppressant and smoke detectors equipment could be found at these establishments to manipulate the start of fire. These functions also help protect the usage reputation the cartridge. “Primitive Technology” is a interesting channel. It shows how to make quick semi permanent shelters and other stuff. I especially like it because there is not music to irritate the viewer and everything is done by example. Cold Antler Farm is really good, a young, single woman homesteading. She works with horses and teaches about how to use wagons, etc. and harnessing horses. She also raises goats, sheep, etc. Good roundup. I also use http://www.survivaltelevision.com, it’s quicker than logging into YouTube. Many channels listed are gun channels. Gun channels are not prepping channels. Far North Bushcraft And Survival is one of my favorites. Lonnie is up in Alaska and he has some great shelter designs, but he also goes into wild edibles, a few great hacks and he has a whole series of videos on Bushcraft/Survival Hygiene. WeAllJuggleKnives, is a recent find for me. If it has a sharp edge, he has probably reviewed it. Reallybigmonkey1 has a Bunch of tarp shelter designs, but he also makes some of his survival tools and has how to videos on how to make them. You do have my favorites listed, I’d like to add one more for her resourcefulness, One Woman and Two Acres. And she’s fun to watch. Hope someday my channel will make your 100 list, but I know I’m not there yet. Check out tactical’s channel he’s a funny dude who wears a ninja mask drinks beer, smokes cigarettes and reviews knives! Aw yeahh! Wow! Thanks so much for including my little channel in this list! I’m very honored! Thanks aplenty. All of your favourites were in my sub list but wow thanks to this I just added about another 65 channels. Cheers and stay safe.